It’s time for Photo Friday… ooops! I mean Saturday! Here’s part of what’s blooming in my garden today. 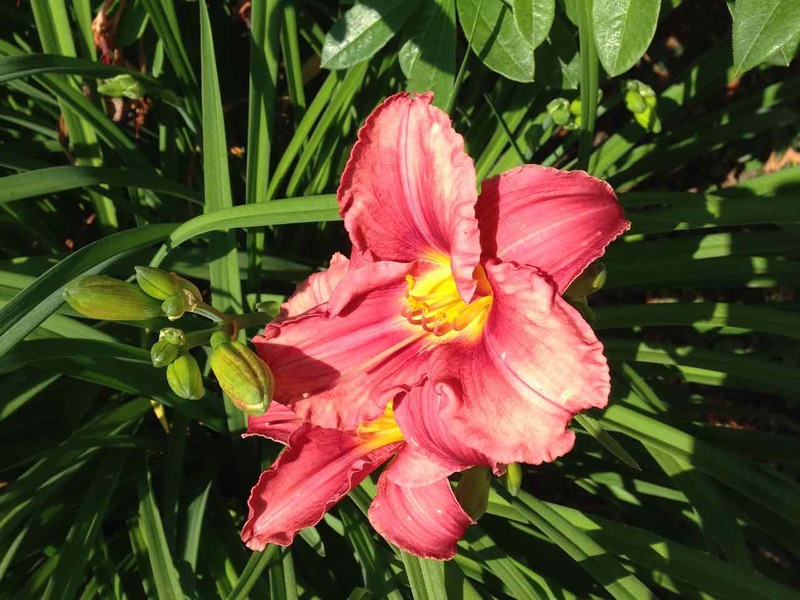 This is Hemerocallis Rosy Returns… a lovey reblooming daylily that lives just outside my front stoop. Fragrant too! 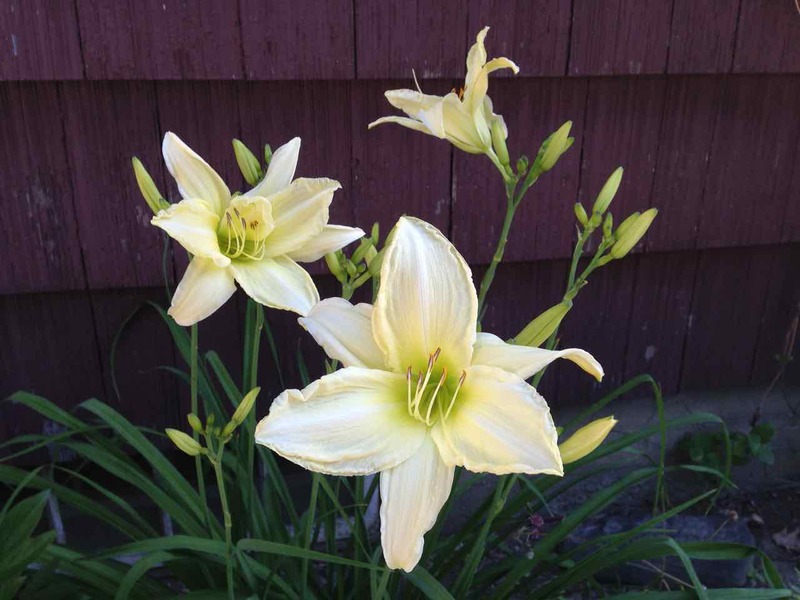 I am a victim of poor record-keeping, self-inflicted of course… I think this is Hemerocallis Heidi Eidelweiss. She’s a tall girl and looks fabulous against my dark brown house! 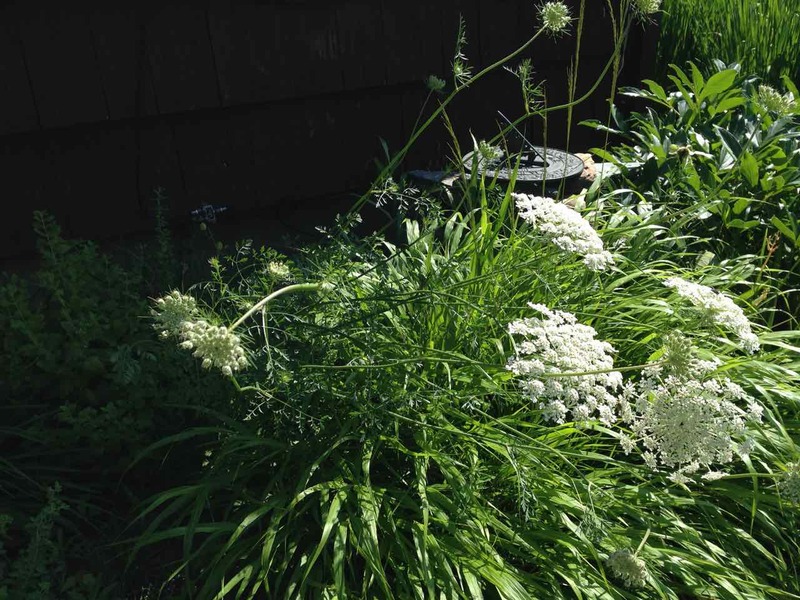 I should have pulled this volunteer parsley plant when it first appeared but I have a weakness for their Queen Anne’s Lace-like blooms… shown here arching over the Hakonechloa. So… I’m sorry I’m late but I was out and about yesterday, sketching and painting with two delightful artists… now friends… I met through Sketchbook Skool! More on that later! This entry was posted in Garden, Photos and tagged Flowers, Garden, Hakonechloa, Hemerocallis, Parsley, Photography by Dana Burrell. Bookmark the permalink.